2014 PNC's There are 17 products. 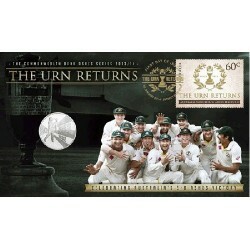 2013 – 2014 20c The Urn Returns – Ashes Coin & Stamp Cover PNC Limited Edition The celebrations began when Australian beat England to retain the much sought after Ashes Urn in the 2013/14 Ashes Tour. 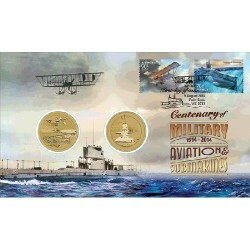 2014 $1 Centenary of Military Aviation and Submarines 2 Coin and Stamp Cover PNC. The Perth Mint along with Australia Post are releasing a commemorative to celebrate the Centenary of Australian Military Aviation and Submarines with this stunning Coin & Stamp Cover. 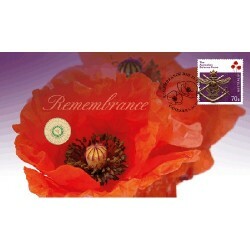 2014 $2 Remembrance Day PNC In the centennial year of the start of the First World War, we remember the 96th Anniversary of the Armistice. 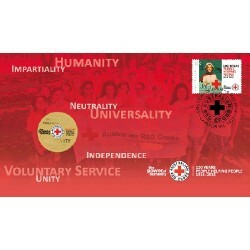 2014 $1 100th Anniversary of Australian Red Cross Coin & Stamp Cover PNC. 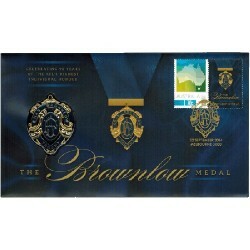 The Perth Mint and Australia Post have released a 100th Anniversary of Australian Red Cross with a stunning Coin and Stamp Cover. 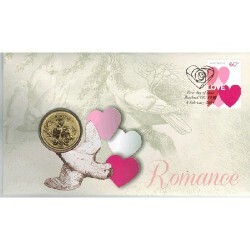 2014 $1 Romance Coin & Stamp Cover PNC Matters of the heart evoke a rich metaphorical language, which in many ways reflects the fine choreography that distinguishes courtship and love. 2014 $1 150th Anniversary of A.B. 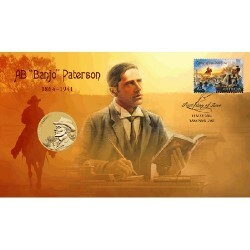 ‘Banjo’ Paterson Stamp and Coin Cover PNC The Perth Mint and Australia Post have released this commemorative to celebrate the 150th Anniversary of A.B. ‘Banjo” Paterson with a stunning coin and stamp cover. 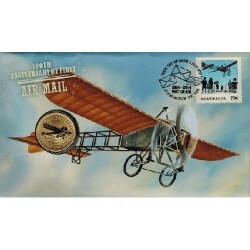 2014 $1 100th Anniversary of First Air Mail Coin & Stamp Cover PNC An Australian milestone was made in July 1914, French aviator Maurice Guilaux took off from Melbourne Agricultural Grounds on 16 July bound for Sydney, with a large cargo of souvenir postcards, official letters and a small numbers of parcels. 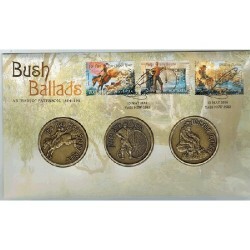 2014 Bush Ballads Medallion Cover PNC AB “Banjo” Paterson 1864-1941. Poet, journalist, editor and solicitor, Andrew Barton “Banjo” Paterson’s poetry is well renowned across the land. 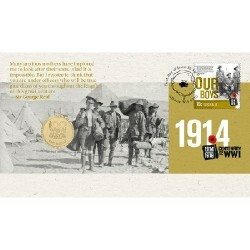 2014 $1 Centenary of WWI – Our Boys Coin & Stamp Cover PNC The Centenary of WWI 1914-1918 has been recognised with the issue of this PNC. 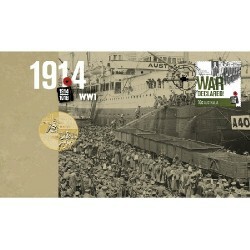 2014 $1 ANZAC Declaration of WWI Stamp and Coin Cover The Perth Mint and Australia Post are commemorating a century since WWI was first declared with a 2014 ANZAC Declaration of WWI Stamp and Coin Cover. 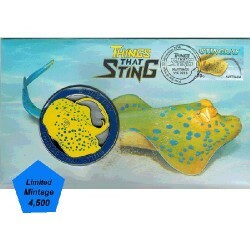 2014 Things That Sting – Stingray Medallion Cover PNC Australia has numerous insects and animals that sting or bite as a form of defence. Some are extremely dangerous and can be fatal for humans, while other, despite their painful stings, rarely inflict serious damage.